Mallorca is one of the most popular holiday destinations to visit for your summer holiday. With its family-friendly towns and resorts, modern hotels, plenty of activities and particularly some of the best beaches in Europe, this is easy to understand. Mallorca is the largest of the Balearic Islands that also include Ibiza and Menorca. This is the largest tourist region in Spain, and the many visitors can enjoy the comfortable subtropical Mediterranean climate, which ensures a long bathing season. According to the official figures, there are 208 beaches in Mallorca. The majority of these are sand beaches and many of them are of surprisingly high quality. The holiday resorts are located close to some of the largest beaches, whereas other beaches are located in beautiful natural surroundings. Some of them are so isolated that they are almost untouched. Here is our list of the 10 best beaches in Mallorca. 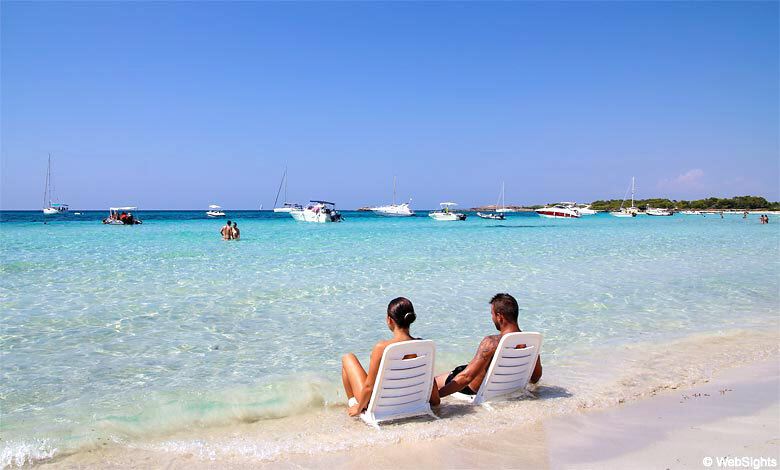 The most popular beach in Mallorca, Es Trenc, is located on the very scenic south coast. However, it is possible to find quite many isolated beaches and if you are willing to walk for 30-60 minutes or more, the experience can be very rewarding. 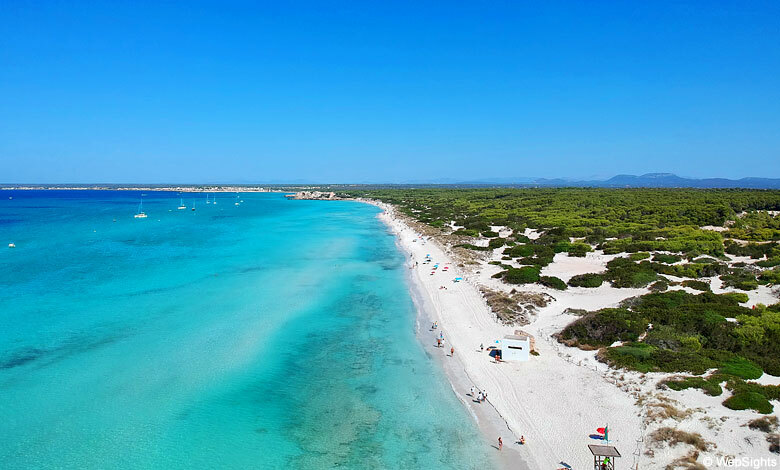 The busiest beach is Playa de Alcudia, which is located close to the largest holiday resort in Mallorca, Port d’Alcudia. This is a family favourite with its calm and shallow water. The other large holiday resorts such as Palma Nova, Puerto Pollensa and Santa Ponsa are also located close to some lovely beaches with perfect bathing conditions. This website includes images and descriptions of more than 100 of the best and most popular beaches, and there are still more to come. Click in the menu and start exploring Mallorca.